We planted this cheerful bunch of bright Flowers in an aged French Country pot and added a bright checked ribbon for an enchanting accent. Designed for a small space, perfect for your antique French desk, your guest bathroom or your bedside table. 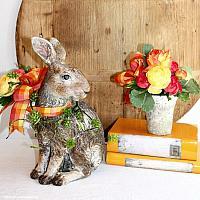 They look fantastic in a pair on your mantel, too! 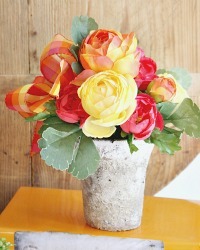 Chic, stylish and inspired, never needs to be watered! 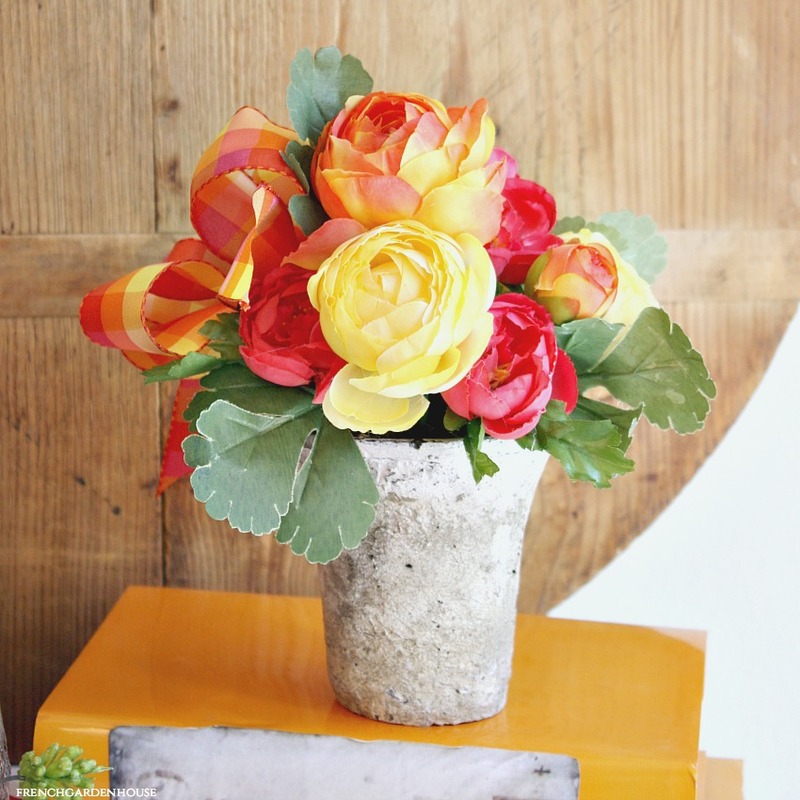 Bright orange, yellow and pink roses and ranunculus greet the happy months of this season. The pot is weathered and worn, each is different. Very limited quantities available. Measures about 9-1/2 x 8-1/2"" h; pot 9-1/2" in diameter.